Some say “the bigger the bait the bigger the fish”. This doesn’t always prove true, but it can. When using a large amount of bait you will exclude many smaller fish. 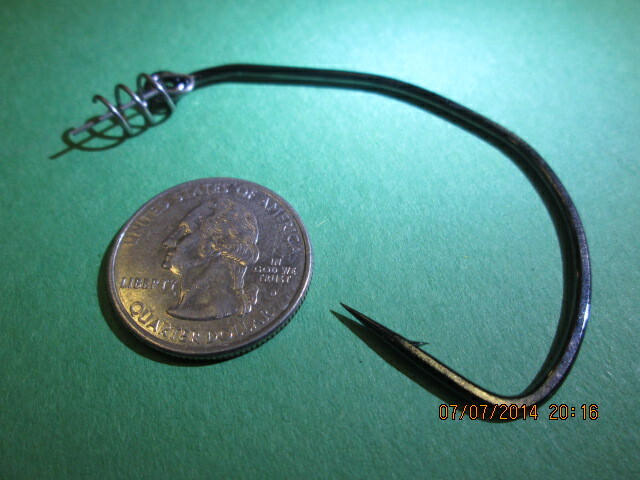 By doing this you will have your bait waiting for that lunker cat. 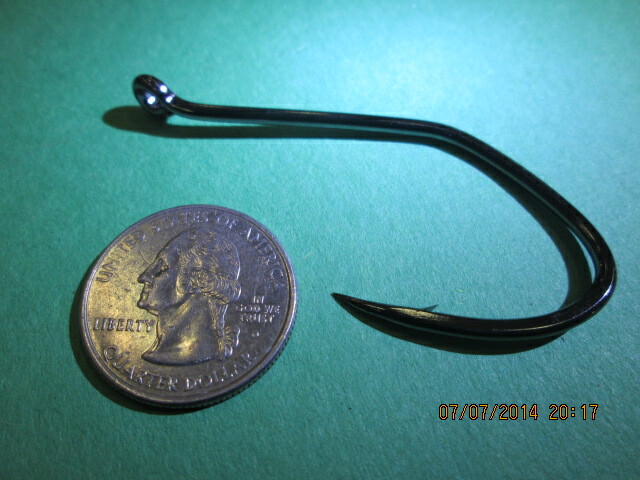 To use a large portion of bait it is a good idea to use an over sized hook. Owner makes a Beast Hook that will hold large frozen bait. 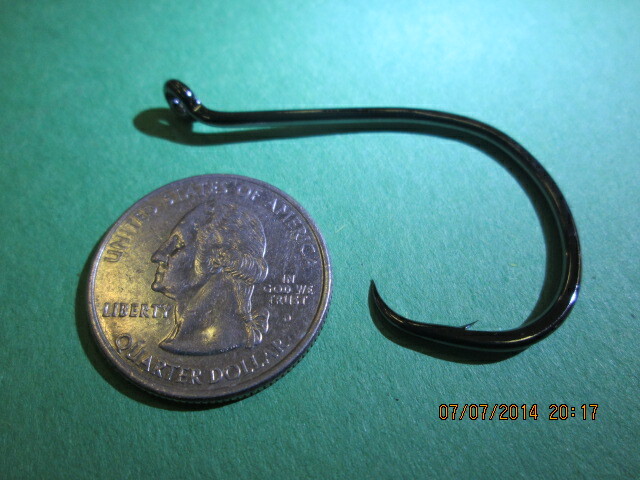 Gamakatsu Circle Hooks and Big River Hooks are also a good choice. These will hold multiple crawlers or a bunch of liver. Some trophy hunters have been know to use half or whole chickens to target the biggest fish in the lake. Big fish become big because they are smarter and have different feeding patterns than small and average size fish. Some anglers believe the large cats will suspend under schools of trout and kokanee. To target these giants try using a large bobber or balloon and suspending your bait below. 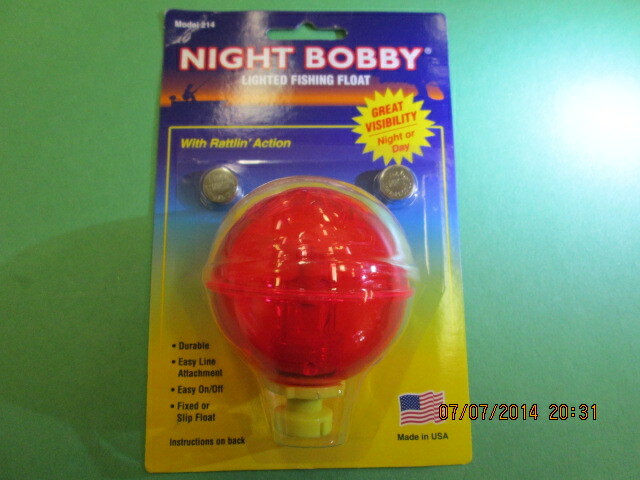 Night Bobby make a bobber that is large enough to float a lot of bait. It also lights up and has rattles to attract fish. Another thing to keep in mind is the amount of weight you are using. If the fish feels any weight they will be more likely to release the bait. When using oversized presentations you will be able to make long cast with just the weight of the bait. This weightless way of fishing is best. Leave you bail open and let the fish take the bait before setting the hook. Use the proper gear, heavy rods, large reels, and good line. We have had reports of fish breaking heavy line. The current lake record is 36-pounds, caught by Dean Nelson in 1994, but many think there are fish twice that size lurking in the depths of New Melones.